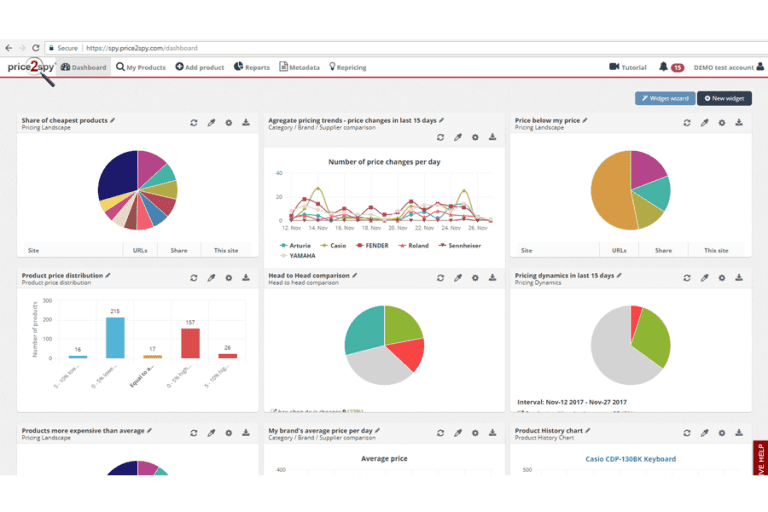 Price2Spy helps ecommerce professionals to monitor, analyze pricing data, and reprice products, depending on their market strategy. It offers pricing acquisition as well as multiple reporting mechanisms for analyzing data. Price2Spy’s software is based on four main mechanisms. Price comparison, price change alerts, pricing analytics, and repricing. It provides aid in everyday pricing operations — an email alert each time it detects a price or availability change — and in strategic decision-making. 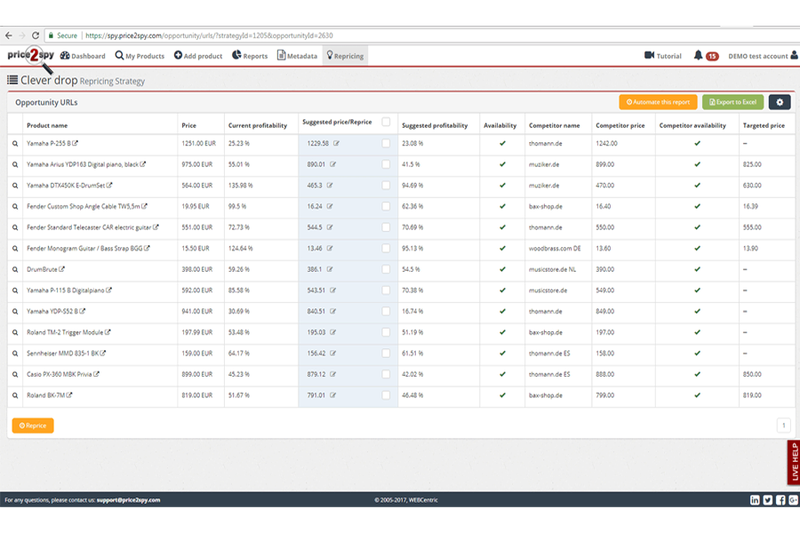 It also offers advanced price monitoring features like B2B price checks, prices protected by a username and password, in-cart price capturing, and IP monitoring. Price2Spy offers tutorials, demos, and online support.